Carl Poe Company has been in the Natural Gas Measurement Industry for over 55 Years, offering NIST Calibration and Gas Meter Repair Services. At our facility in Houston, TX, we have the capability to repair, rebuild, and calibrate most types and sizes of gas meters. In addition to repair services, we carry a large inventory of refurbished natural gas meters to provide a variety of cost saving options. Utilizing our Dresser Model 5 Transfer prover, SNAP provers as well as our two, five or ten foot American Bell provers we can offer N.I.S.T traceable calibrations for your Rotary, turbine, large and small diaphragm meters. With our considerable experience, trained personnel and state of the art proving equipment we offer dependable quality and quick turnaround. Send us your meters for repair or calibration. With our experience and parts inventory we can offer quick turn-around and quality service. At Carl Poe Company, Inc., we provide state-of-the-art calibration, rebuild, and repair services with quick turnaround time for most types and sizes of gas meters. 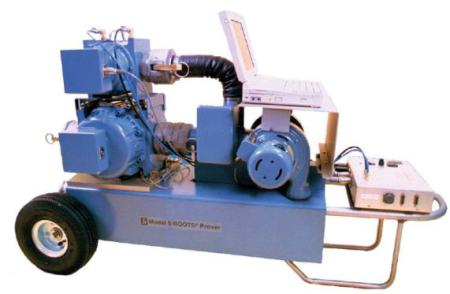 We calibrate rotary, turbine, and large diaphragm gas meters with our Dresser Model 5 Transfer prover. 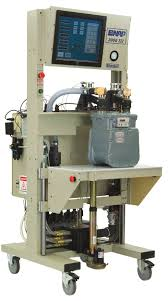 For domestic types and average-sized meters, we use American SNAP provers. We are also equipped with 2-, 5-, and 10-ft American Bell provers for dry and wet test meter calibrations.